Fiction by Michelle Ann King: Creepy Freebies! 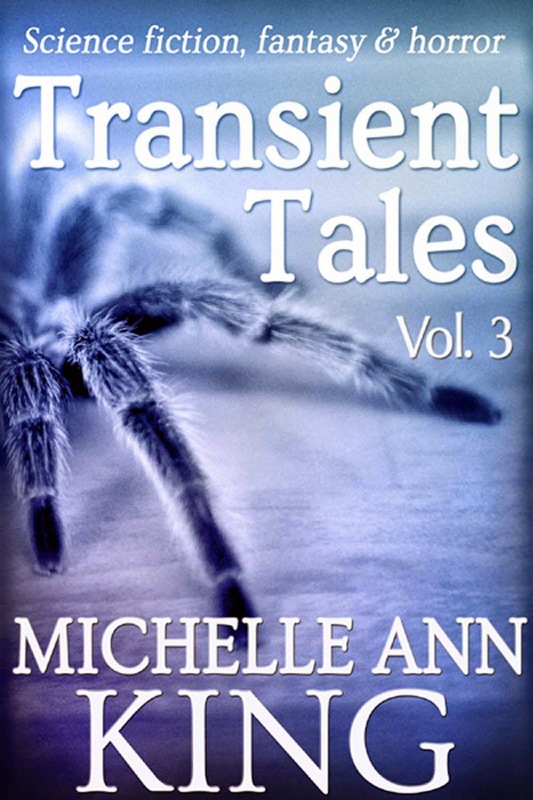 Transient Tales 3 includes 12 stories of SF, fantasy and horror, featuring demonic spiders, robot wolves, witches, doppelgangers, carnivorous plants, reclusive psychics, immortal gang bosses, apocalyptic survivors, alien voyeurs, flesh-eating criminals, clairvoyants, and God. Get your free copy here, using code SW82Z! Thanks for the book. Can't wait to dig in! Hello, Michelle! Thank you so much for the opportunity to read your book. I am new to you and your work, but very excited to read it! Thank you! I hope you enjoy the stories! Glad to have you aboard, Michelle! Looking forward to reading these tales ASAP. Thanks for including me, Milo! Looking forward to diving into the freebies I've snagged, too! Thanks for the freebie, Michelle. Happy Haunts! You're very welcome! Hope you enjoy it!